Broken to scattered stratus fractus clouds fill the sky over the Ada area today. City of Ada Public Relations Director Lisa Bratcher made this image of me with the Beechcraft Premier 1 on the tarmac at Ada Municipal Airport today. I covered the annual press conference for the upcoming Ada Air Expo today. 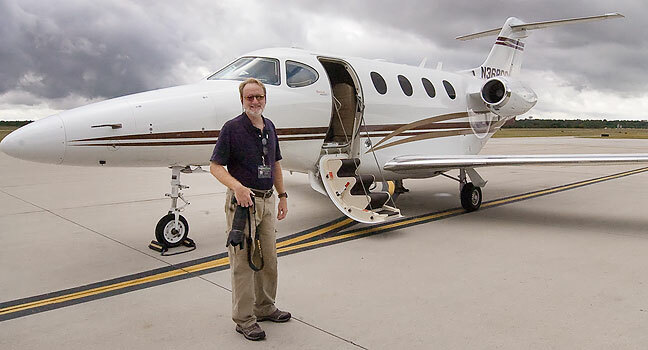 In addition to the usual photo ops, Hoppe Aviation provided rides for media members in their Beechcraft Premier 1 business jet. I’ve flown a lot of different aircraft, but I’ve never experienced acceleration down the runway like I did today. 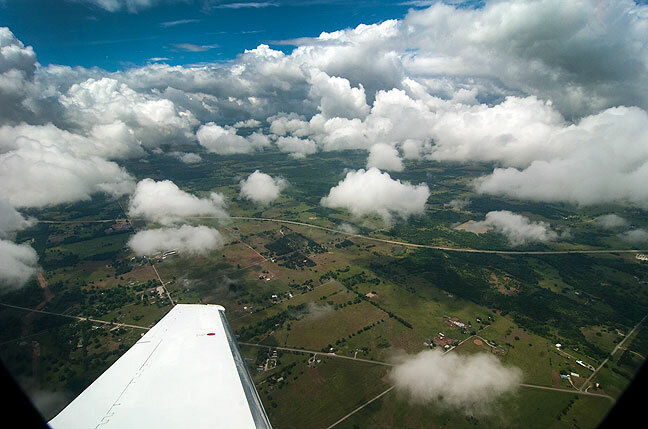 The air was choppy with stratus fractus (scud), and t-tail airplanes like the Premier tend to yaw and wallow in turbulence. Still, it was a good ride. Pilot Randy Reams told me last week he flew from Destin, Florida to our airport in Ada, Oklahoma, in an hour and fifteen minutes. 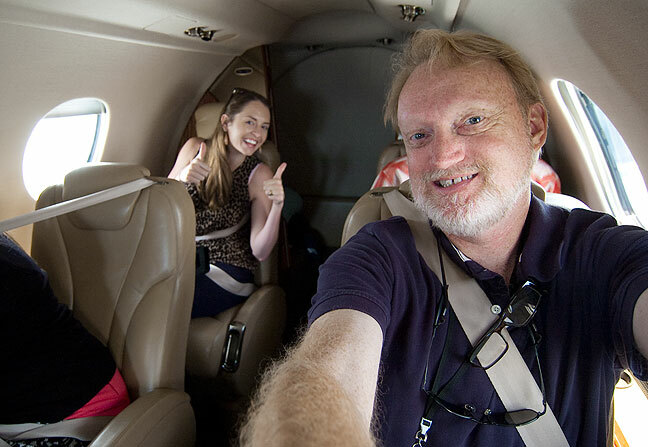 I made this selfie while taking the media flight in the Beechcraft Premier 1 business jet. Behind me is my friend and KTEN reporter Markie Martin, who, like me, is also a pilot. Cool pix! You actually look like you are having fun. Definitely a perk! Glad you had a good time.